Having had both my children I have to say that I was never concerned about Colic. I did know that colic was a condition which babies could have, coming from a family with so many siblings it wasn't new to me. Having said that I did nothing to prepare for such a condition while I was pregnant with neither D nor Baby S. It had never occurred to me to do so! Today we have joined up with Infacol and Cry-sis to help raise awareness of Colic and the effects Colic can have on a family. Infacol is the number one infant Colic remedy. Made to be suitable for babies from birth, it comes with a dropper making it easy to give to babies. 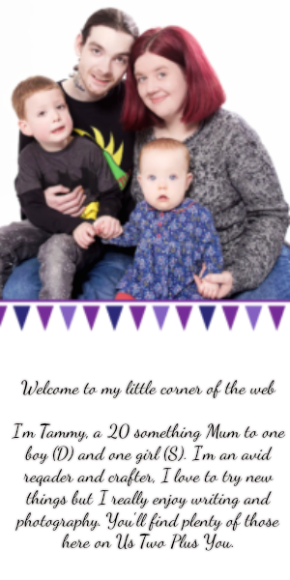 While Cry-sis is the only parenting charity dedicated to supporting parents through excessive infant crying. Colic is a medical condition which can affect up to 1 in every 5 babies! Infacol have also found that only 1 in 3 Mums know what Colic is. Not only is it so common that we all are likely to know someone with a baby who has Colic but it starts during a babies first few weeks of life. A time when parents are only finding their way with a new baby. As you can imagine Colic can be stressful and upsetting for the parents. Although Colic itself is not harmful for babies, the effects of sleepless nights, nursing a colicky baby on parents can be huge. Sleep deprivation is a huge problem for parents of a baby with Colic. Sleep deprivation is already known to have a huge negative impact on a persons mood and concentration. In fact Infacol's research shows that 56% of Mums say that a lack of sleep has affected their relationship with their partner. While 38% said it had affected their relationship with their children! Which is why Infacol and Cry-sis joined together in September 2017 to launch Colic Awareness Month. They did so with the intent and purpose of educating and supporting parents, in order to help ensure that every parent can benefit and experience that joys of parenthood to the fullest. 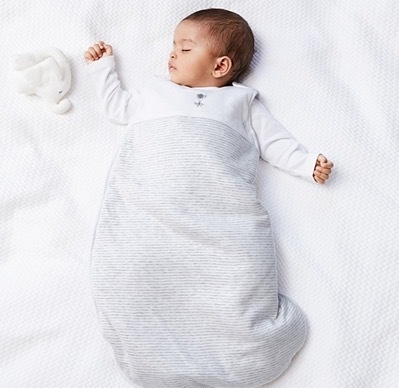 Infacol have very kindly joined with us to give our readers the chance to win a White Company Sleep Suit. You can enter using the Gleam Widget below. Infacol is the sponsor of this giveaway and is responsible for prize fulfillment. No, I wasn't aware of the extent that Colic can affect a whole family! Thankfully colic has not affected our family life as all four of my little one have not suffered from it. No, I wasn't of the extent colic can affect a family, very informative especially the signs of a new baby with colic. My son had colic amd it was awful , he was in pain and we were really stressed. Our son had really bad colic and it definitely effected the whole family. I would love to win this baby suit for our baby girl. I wasn't aware - we are lucky it didn't affect our family! My son suffered from Colic and I remeber how stressful and exhausting it really was. My daughter had terrible colic and it was so stressful for both her and myself. The nights were the hardest, she was constantly crying and restless and I felt so exhausted and helpless. We were all so relieved when it passed. Colic is torture and was such a shock as it was my third child who had it. So stressful. Infacol helped but it is still rotten. We were very lucky and it didn't affect us. My girl had to have infacol when she was a small baby but luckily didnt need it for long. I cant imagine how horrible it would be to suffer from it badly! It has been a while but, yes, colic can be distressing for the entire family. Great to read about Colic Awareness Month. I'm lucky that my daughter didn't suffer with colic, so I've never had to think about this subject. I can see how it would though. I haven't heard much about colic but it hasn't affected my family. We have been lucky not to be affected by colic, but have friends that have so know to some extend how it can affect a whole family. My daughter suffers very badly with colic! It's absolutely horrendous and we have tried every bottle and teat variant imaginable. Thankfully we found relief with Infacol! Luckily my slaughterhouse suffer from colic but some of our friends had a horrible time with it.